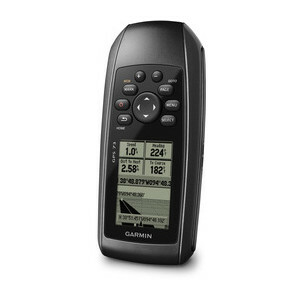 Mariner-friendly Garmin GPS 73 is an entry-level marine system that provides a 4-level gray-scale screen. The easy-to-use handheld is the perfect navigational solution for boats, sail boats, etc that do not have a chartplotter. 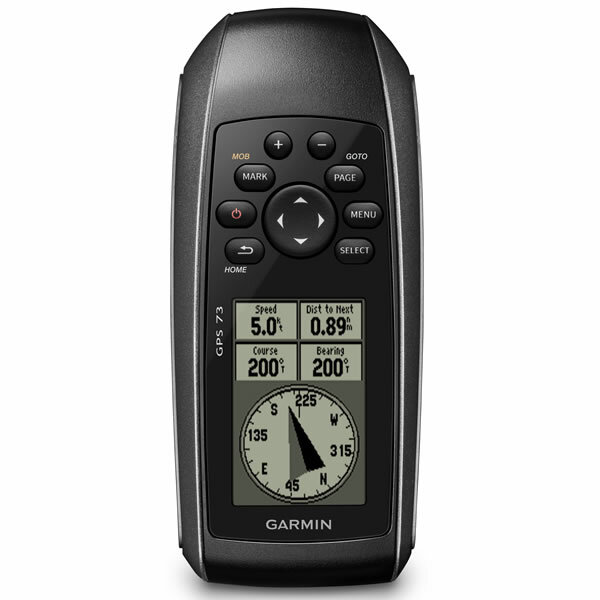 However, with NMEA 0183 connectivity the Garmin GPS 73 can also be used to send data e.g. speed, bearing and position to a connected chartplotter or other compatible device. The GPS 73 also features SailAssist which helps you sail more effectively with heading line and tack assist. Powering from 2x AA batteries the GPS 73 will operate for up to 18 hours and what's more should the GPS 73 go overboard it even floats on the water too! Garmin GPS 73 is a GPS device for use on land and water. It is ideal for use on a boats, sailboats or small watercraft as it is waterproof to IPX7 standards and it floats, should you drop it in the water. Not only does it float but it will continue to work if left in water up to 1 metre for up to 30 minutes. 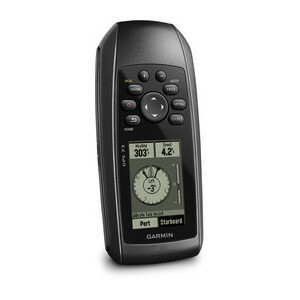 This Garmin GPS 73 device is an ideal replacement for a chartplotter however it is also a good back-up GPS device if you already have a chartplotter on your boat or vessel. There is a high-contrast display on the Garmin GPS 73. The screen is a 4 level gray LCD and the battery life is over 18 hours (requires AA batteries). You can also mark and store 1,000 waypoints and 100 tracks so you could mark your favourite locations and navigate back to them at the press of a button. The GPS 73 Garmin device features built-in backlight making the buttons easy to see in dark conditions. It also includes high-sensitivity GPS technology for quick, reliable connections to GPS satellites. 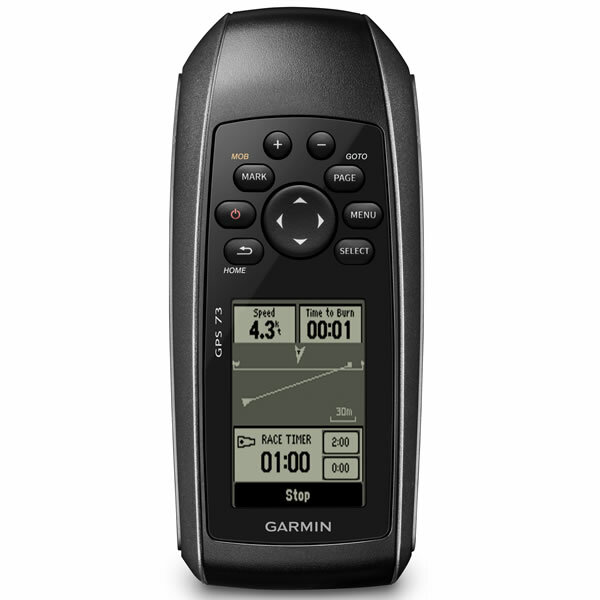 The Garmin GPS 73 will also work in many conditions and does not required a direct view of the sky for a GPS fix connection so it will work below deck on a boat, for example. Garmin SailAssist provides vital sailing information on your Garmin 73 satnav device such as advise when to tack depending whether your boat is getting headed or lifted compared to boat's optimal tacking angle. Further sailing information includes starting line, heading line, countdown timers and tack assist features. This helps you if you are racing, cruising or fishing. Garmin GPS 73 handheld device is NMEA 0183 compatible. To transfer data to your device, it easily connects to your computer via mini USB cable. If you're into racing, cruising or fishing, you can use the built-in celestial data, which includes sunrise/sunset times and a hunting and fishing calendar, estimated time of arrival, other calculations and marine data. What's more using the additional accessory Garmin GPS 73 power/data cable you can also connect the GPS 73 using the built-in NMEA 0183 connector to a compatible chartplotter, computer, auto pilot or radar, etc. Looking for accessories and spares for the Garmin GPS 73? We sell the full range of genuine and compatible accessories for use with the GPS 73 including a carrying case, marine mast mount, marine mount and data/power cable. These and more accessories can be viewed and purchased online here.